Here at AOL Jobs, if you scroll down to that big search bar that says "Search Jobs" and click it, you're bound to find hundreds of openings for nursing positions. 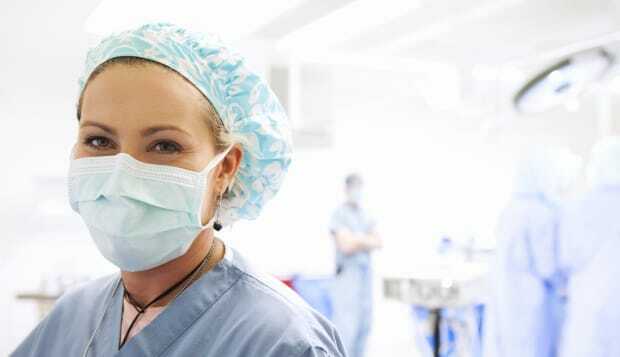 Tons and tons of them are added every day--across the country, healthcare providers are seeking Registered Nurses (RNs) to provide the best possible treatment and collaborate with physicians and other team members. It's a great time to get into the nursing, but where, exactly, are you supposed to begin? Like most healthcare jobs, nursing positions require specialized training and degrees, but it's never too late to get started. Want an idea of what the various types of nursing degrees out there will get you in terms of salary and hiring prospects? Take a look at this terrific chart from Simmons College's School of Nursing, which breaks down the many paths available to RNs, and what you need to do to embark on the one that's right for you. Take a look--and when you're ready, come back and check out some of the RN jobs available now!